Katherine Mansfield wrote this in 1916. Sanary (or Sanary-sur-mer as it is now known) is a village on the Côte d’Azur. Katherine Mansfield first went to stay at nearby Bandol in 1915, for health reasons. 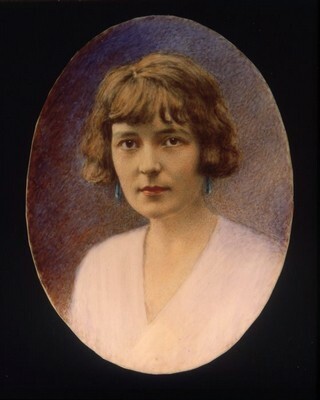 In later years, Sanary attracted other writers such as her friends D H Lawrence and Aldous Huxley. Many German writers (such as Bertolt Brecht and Thomas Mann) went to live there in the 1930s, escaping the rise of Nazism in Germany. I love the sense of menace in this poem. To think, to feel, or even to dream. Crawled over the sky and spun and spun. And the little boats caught in the web like flies. Lay on the air, but sweet—too sweet. If you add “it” to the name ‘Sanary’, you have what figures so frequently in the literature of this period, especially in Mann’s Magic Mountain. I agree with you that there’s a sense of menace and foreboding in this poem, caught in its central metaphor. It’s wonderful that we have KM’s notebooks but awful that she died so young. “Sanary” is a song full of rich atmosphere and loss. Few writers can write with Mansfield’s tenderness. I left a comment before, but it appears to have vanished. This is a wonderful poem. Thanks for posting it. Thanks for stopping by John and Miriam. John, your comment disappeared because the first time someone posts on the blog I have to approve it before it shows up – it’s a spam control thing. This is a marvellous poem. Thank you so much for posting it. She writes with such containment. There is a sense of being trapped, of time running out while the ‘she’ in the poem can only watch. A sense of waiting and yes, a sense of malice too. Thanks Kay. I think her poetry can get overlooked, with the focus on her short stories. The spider image reminds me of Janet Frame’s ‘Another Poem About A Dying Child” that has death as a spider.